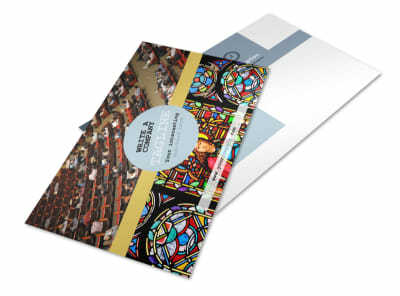 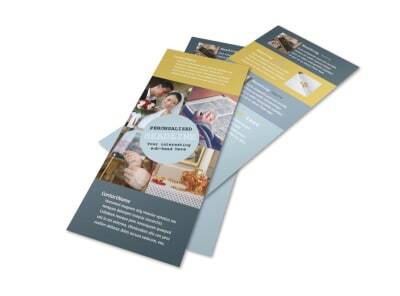 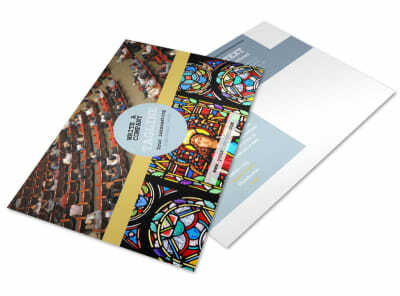 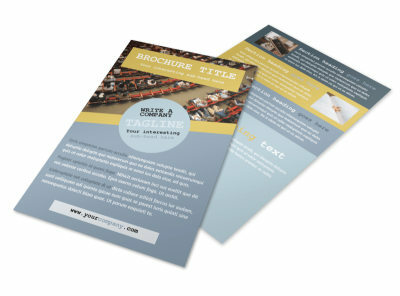 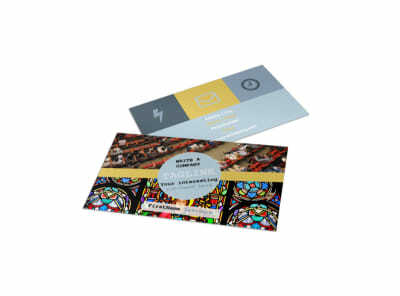 Customize our Church Event Brochure Template and more! 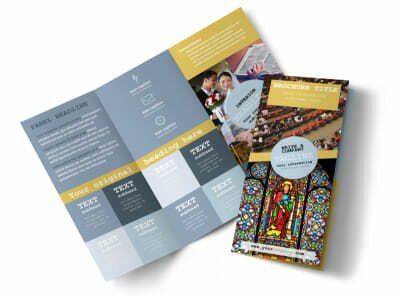 Custom church event brochures give everything from vacation Bible school to youth group meetings and couples' retreats a fresh new face. 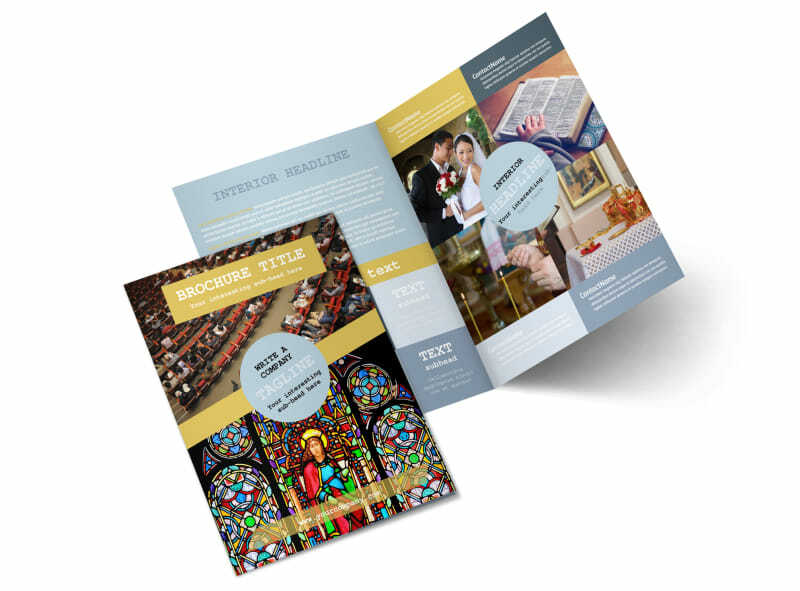 Select a church event brochure template from the beautiful and inspiring options in our template inventory, and then customize every fold to get church patrons interested in attending or participating in what you have to offer through the use of custom text, images, and more. 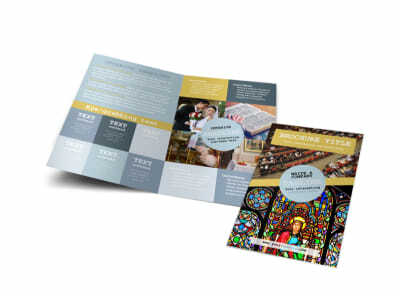 Once your design is a lock, print your brochures from your office, or let our printing pros print them for you using premium paper stock and high-quality inks.